The first sentence of the prologue worried me. However, I was encouraged to read on by my morbid curiosity. Anxious to turn the pages, I found myself picking the book up, putting it down, thinking about it while getting on with other things. I lost sleep and even fell into a slumber with book in hand only to wake up startled. This has to be one of the most difficult and disturbing reads for me yet, so therefore I feel it necessary to warn you that the Lily Anderson’s story is one of child abuse. Strong language and vividly described scenes which literally horrified me, are rife. One thing is the harsh storyline and another is the author’s writing style which I really liked. Told in first person and present, the linearly fashion used gives the book a continuity. Some parts are Lily’s flashbacks though and this extension of the plot gives the book even more strength if that were ever possible. I loved how her sentences were clipped and precise. I loved how she developed Lily’s character from a six year old to a woman in her midtwenties. I hated what she had to go through to become a person in her own right. Despite so much despair and so little hope, I had every faith in the author’s storytelling abilities. And she didn’t disappoint. Lily’s father is nothing less than an ogre. It is hard to image what he put her through, how cruel and to what extremes he would go to, to make his daughter suffer. His constant insults and repression form his daughter’s personality which in turn, makes her believe that she is ugly and worthless. She has no friends and no wish for them either. All she wants is to disappear off the face of the earth. Not being noticed means no explanations are called for. Intelligent, she does well at school, but she has never had anyone to value her worth. The reverse. Lily jumps out of the frying pan and into an inferno when she meets a lad who has had his eye on her. Sly, he weaves his way into her life with dishonest intentions. She can’t see further than her nose as this is the first time in her life that someone has lavished her with compliments. She believes in him regardless of the change in his behaviour simply because she doesn’t know any better. Therefore there are two sides to every story where abuse is concerned; the abused and the abuser. Trent rose my hackles from the very beginning of his relationship with Lily. He quickly susses out all her weaknesses and takes advantage for his own warped benefits. I asked myself where he had learnt to orchestrate such evil and the answer is quite simple. A classic case of like father, like son. Trent inherited all his father’s traits and not one of them was positive. It takes a friend Lily makes as a teenager for her to realise that she’s not ugly and far from stupid. Bubbly, generous of spirit and sensible, Shayne was for me, a godsend. 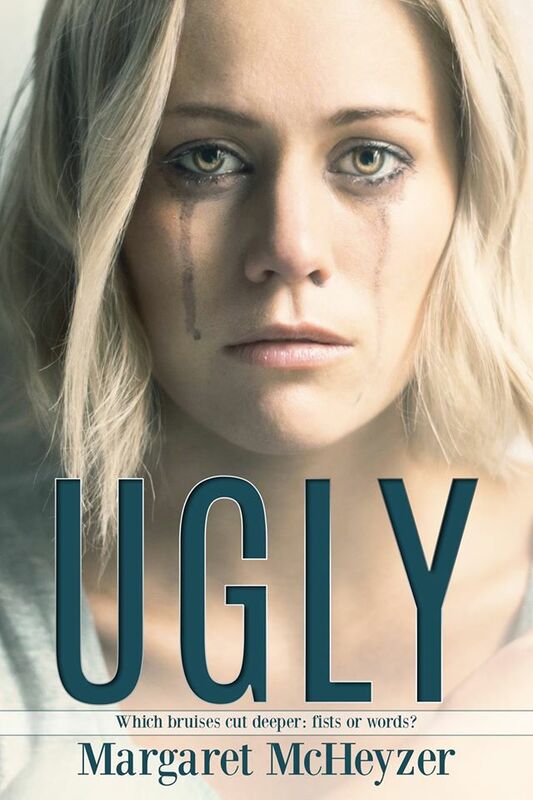 Whether or not Lily will take all Shayne’s advice you will only find out by reading this book, but I can assure you that she’ll do her utmost to help her. Another friend that has Lily’s back is Max. Despite having a speech impairment, she understands him perfectly. Indefinitely kind, patient and loving, I couldn’t help but fall for him. As the story unravelled, I also discovered he’d had his demons to cope with. An angel. That’s the only way I can describe him. To conclude this full length standalone novel, the secondary characters’ personalities are really well-developed. I adored Lily’s bosses, Shayne’s boyfriend, Liam, although I can’t say thing about Trent’s father, or his father’s brother who disgusted me. When the story reaches one of its most critical points and a hard hand is dealt, I cheered out loud. Another important detail for me was the banter. It is plentiful, disturbing most of the time, beautiful in others. To say the epilogue was made in heaven for Lily and Max would be putting it mildly. I am really looking forward to reading more of your works Ms McHeyser. Bravo! Last word. Have heaps of man-sized handkerchieves at hand. You’ll need them!